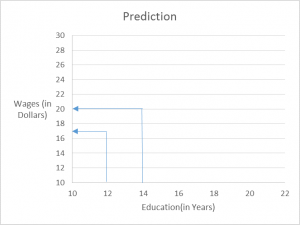 Businesses use regression to predict many things like future sales, stock prices, currency exchange rates, and productivity gains resulting from a training program. 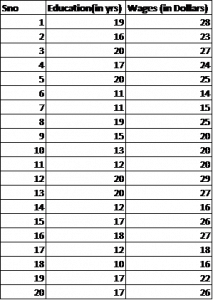 A regression models the past relationship between variables to predict their future behaviour. As an example. How can we formally test that there is a relationship between Wages and education spend in years. More importantly how can we expect our wage to increase in every year spent on our education i.e. is it even worth of studying in high school. The dependent variable in this instance is Wages and the independent variable is Education. Usually, more than one independent variable influences the dependent variable. You can imagine in the above example that Wages are influenced by Education, also if we include other factors as well, such as age, gender, work experience, and sector. 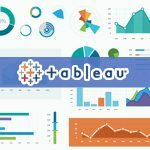 When one independent variable is used in a regression, it is called a simple regression; when two or more independent variables are used, it is called a multiple regression. So the best way to know the relationship between independent and dependent variable is by scatter plot. Let us consider data of 20 professionals of their years of education and Wages in dollars per hour. Note : Make sure the collected data is a representation of the population. In statistics we must ensure that our sample of individuals must represents our population. That means we must ensure the random sampling, this will allow us the make the inferences of our population at large. So to represent the above individuals on their Wages and Education, the best way is the scatter plot. 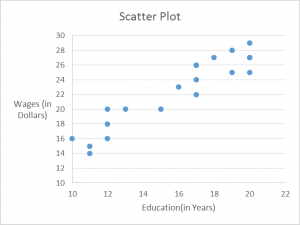 This Scatter plot allowed us to accommodate all the individuals with their wages and years in Education. Now to know the relationship between our variables or the pattern between them we use the line of best fit. The line of Best fit is the line which represents the general pattern of the sample. A regression line is simply the line of best fit for a given sample. C= intercept of the line. 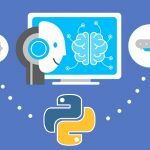 so if X >0 it has a positive relationship. The above Shows the positive relationship between Wages and Education. The more Education a person attains the higher the wage it gets. If X <0 it has a negative relationship. The regression line is in a downward direction. 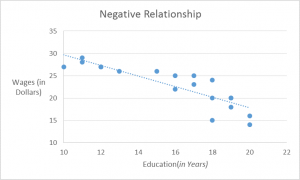 There is an negative relationship between the Wages and Education. It has a general trend that the more educated is any individual the less pay they would get. In this case the slope of regression line X is negative. If X =0 it has a No relationship. The regression line is in a Straight direction. 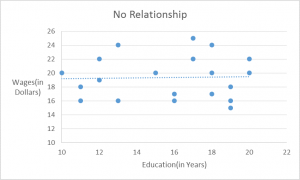 There may be no relationship between Wages and Education. The Slope of the regression line X is zero. To know about the Wage of a person who is having a 14 years of Education. 2) When education is Zero i.e (X=0) , the Wages is expected to be $2.372 per hour. 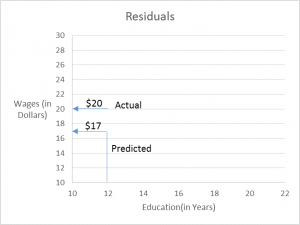 Residuals are the difference between the actual value and the predicted value. Suppose as per our predictions, the wage for a professional who has a 12 years of education(Let say #11 from table) which is $17 per hour. Actually the wage of that professional is $20 per hour. So difference between the actual and the predicted wages which is $3 are the residuals. So Residuals are the other factors which doesn’t include into the regression equation. These are the factors that does have an effects on the wages but not contained into the model.